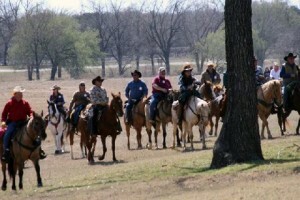 Join us as we ride The Original Texas Star Trail through Fredericksburg, Luckenbach, Stonewall, Johnson City, Blanco, Fischer, Wimberley and Driftwood. Each year, about 300 people take part in the 112 mile ride. It’s the experience of a lifetime and one you will not forget. We cross 40 cattle guards through more than 20 Texas Hill Country ranches, including the LBJ Ranch. Spectators welcome! Please visit the website for more information.